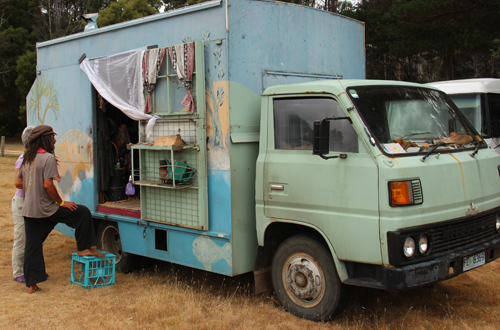 At CircusFest, I was pleased to meet many other full-time travellers and I asked some of them if I could have a look in their rig and photograph the more unusual set-ups. It’s inspiring to see how individuals use tiny spaces for full-time living, how they decorate with natural materials and make use of all nooks and crannies. The outside of Manu's truck is decorated with a landscape mural. 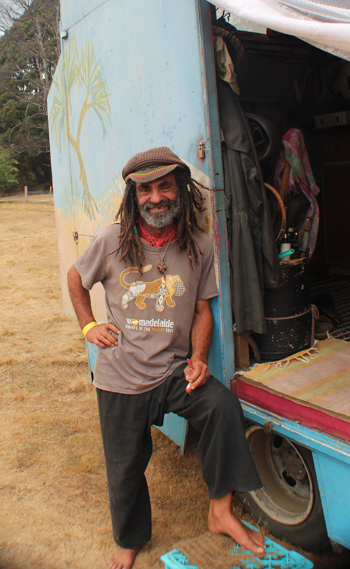 Originally from Portugal, Manu has been travelling around Australia for two years. 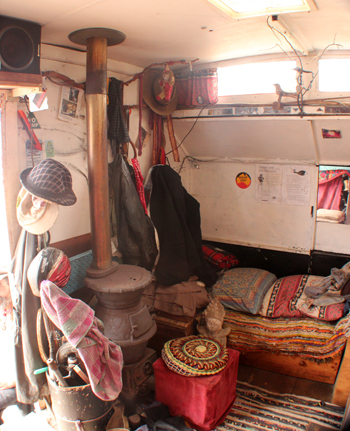 Manu re-fit out the interior to suit his needs, including installing a pot-belly stove. 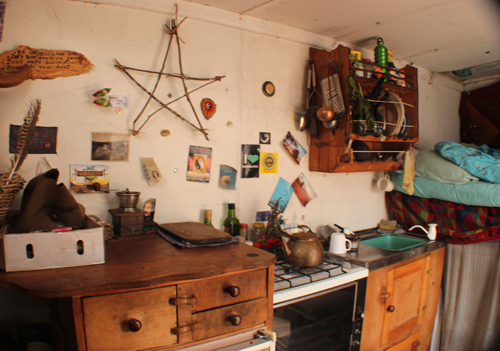 A little fridge and stove are all that Manu needs for his kitchen, and I love the decorations made with twigs. Manu has his plates hanging on the wall. I like looking at how a single person can travel and live comfortably with so few possessions, it's inspiring and a liberating idea. 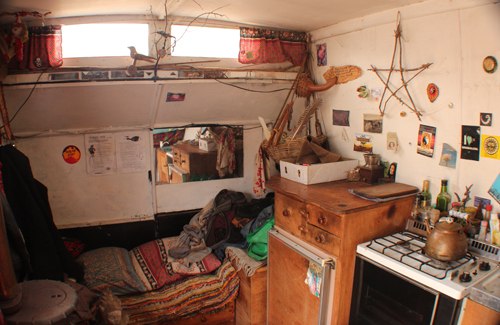 At the front of the little room, Manu's bed is raised as a loft, making room for his bicycle to be stored underneath. 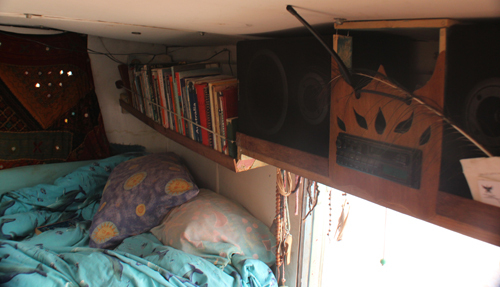 Above the doorway, a small sound system is mounted into the cabinetry, and Manu's books make a tidy line over his bed. 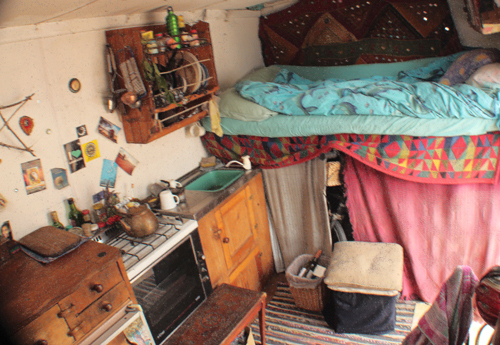 I like seeing people who live on the road but in hand-made spaces. It’s inspiring to know that there are many different ways to fit out a tiny box and a life can be rich and fulfilling with few possessions.